Committee for Children has been affecting and advocating for policy changes to foster the safety and well-being of children for 40 years. As our organization and reach in the education circuit grow, so do our advocacy efforts. Our policy and advocacy team helps propel us by collaborating with lawmakers and stakeholders in the field to develop policies that support our mission. Find out what’s new with this team and how you can help make a difference in the lives of children. We’re two attorneys with diverse backgrounds, both of us motivated by improving the lives and experiences of children. Jordan Posamentier, the senior manager of policy and advocacy, is a former teacher with experience in health law and education policy. Prior to joining the team, Melina Rozzisi, legislative and policy analyst, was a Chicago prosecutor with experience in child protection and juvenile delinquency. We’re excited to announce that we’ve recently implemented an action alert system for you. Sign up, and when a bill is moving through your state legislature (or the US Congress) and reaches a critical point, we’ll email you an action alert, so it’s easy for you to make your voice heard with a few simple steps. To keep tabs on what’s going on, and where, we follow legislation through a set of three bill trackers. We invite you to try them out right now. 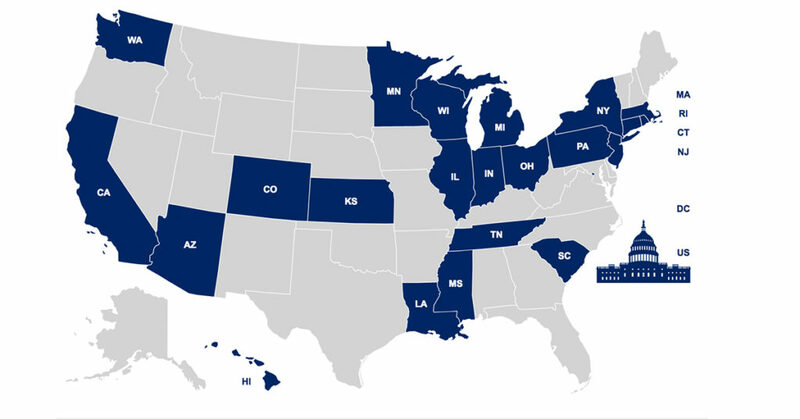 Use them anytime to see what’s happening in your state legislature, as well as at the federal level, in Committee for Children’s three priority areas: social-emotional learning (SEL), bullying prevention, and child sexual abuse prevention. To help you easily find additional ways to get involved, we’ve linked our bill trackers with our action alert system. When you go to the bill-tracking pages, you’ll see action alerts for various bills, so you can connect with your lawmaker instantly. Don’t see an action alert attached to a bill but want to speak out? Reach out to us, and we’ll make suggestions. To guide us through all this information, we’ve created a Committee for Children policy matrix that identifies and defines our ideal policy within each of our three priority areas. In this matrix, we’ve also identified levers for change and policy pathways that can help us reach those ultimate policy goals and advance legislation in each area. The matrix guides whether and how we advocate legislation and regulation. It also helps us design campaigns and work with allies and lawmakers. We’ve obtained feedback from many organizations across the country in the various topic areas. This is a living document, and we are always open to your thoughts, comments, opinions, and feedback. To stay connected, sign up using the form below. By doing so, you’ll get an email message about action alerts in your state and at the federal level. If you have questions, need guidance in the area of policy and advocacy, or want to collaborate with us, please feel free to write to advocacy@cfchildren.org.